I am a senior advisor with the Environment Agency working on climate change. I have spent my whole career looking after the environment in the South East of England and have seen many changes, including the start of the Environment Agency 20 years ago. Climate change is a long-term issue and it has been very satisfying seeing it being brought to the heart of what we are trying to achieve. I have enjoyed pushing the agenda and playing my part through some key initiatives. 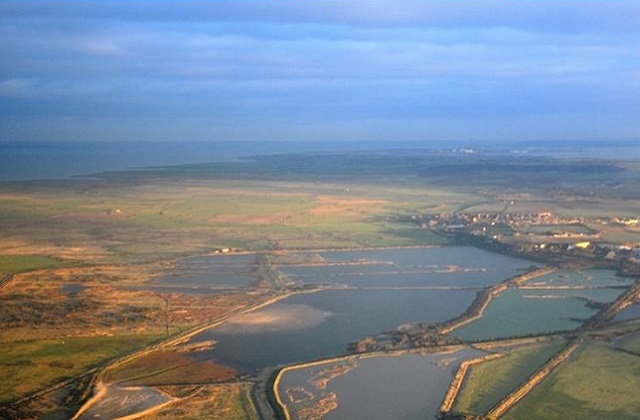 The Environment Agency set up the Thames Estuary 2100 project in 2002 to plan for the future of the Thames Barrier and flood risk management in the Thames estuary. As Project Scientist I had to tackle the thorny issue of how to adapt to uncertain rates of sea level rise. Working with a brilliant, if slightly eccentric, team we carried out a large programme of research working with many others including the Dutch, the Met Office and excellent British consultants and universities. The end result is an approved adaptable plan for the 21st century, which will cope with rising sea levels. . I have given many talks on this issue and it has been pleasing to see the EA’s project being recognised as best practice and to share learning with many other countries including the Dutch. Reducing greenhouse gas emissions is also key to tackling climate change. We carry out many major programmes for government to help achieve national targets. I was involved in helping to drive forward low head hydropower schemes on the river Thames. I set up an approach which promoted the use of our weirs by private developers and community initiatives to produce small local sources of carbon-free energy by using turbines (usually Archimedes screws) to harness the river’s energy. We had to work with all our key partners and customers on the river, including boaters and anglers to ensure this was done sustainably and has no impact on wildlife. The end result is a growing number of working turbines with the largest at Romney weir powering the Queen’s household at Windsor Castle. I have enjoyed working with many partners and a key part of my work has been supporting the London Climate Change Partnership, which brings together major stakeholders in London including the Mayor and GLA to ensure that London is prepared for the impacts of climate change. We have looked at many issues and have seen its profile rise, the health and wellbeing sector being a good example. I have been helping with techniques we developed for coping with possible extreme change in sea level to transfer to other issues such as the impact of higher temperatures on heat waves. None of this would have been possible without the enjoyment and inspiration gained from working with so many great colleagues stretching back a life time in my case. The Environment Agency has fostered a great culture which has been resilient to the many challenges that floods, financial issues, etc have presented. Progress with that culture continues and is why so many of us stay here for a long time, or in my case for ever!